Bring your lunch to watch an LGBTQ+ short film and engage in thoughtful discussion afterward. Open to students, staff, and faculty. Friday June 22, 12 pm - 1 pm. Like You (2017) by Fox and Owl, a trans-themed short film created by an all trans cast production team. In remote northern Iceland, two strangers connect and realize they have a lot more in common than previously assumed. We want to know what Pride means to you! 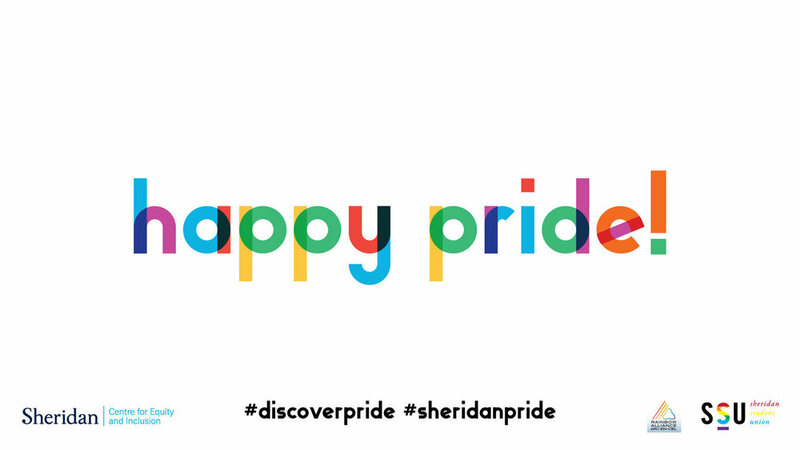 We've also partnered with Sheridan College to help celebrate Pride with a contest giveaway. Tell us on Facebook or Twitter, and include the hashtags #DiscoverPride and #SheridanPride to be eligible to win tickets for our giveaways. Good luck! Check our Twitter feed @the_ssu for details.